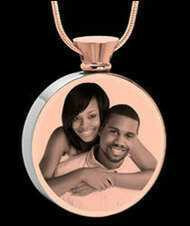 Photographs Fade... Photo Engraved Jewelry Lasts Forever. 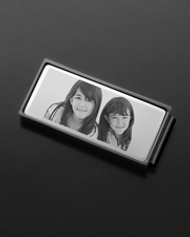 Picture etched into metal for higher detail and sharper image. 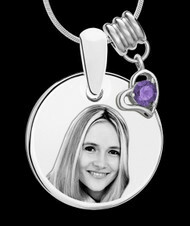 Entire surface of the pendant is engraved and background is light to make the subject the ‘star’ of the pendant. 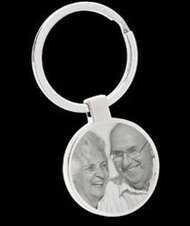 Uses a dot by dot engraving method, giving the picture a grainy quality. 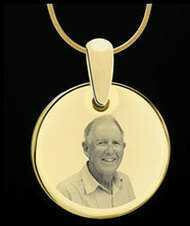 Image is condensed into smaller area leaving a large portion of the pendant blank. 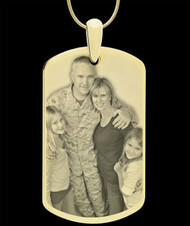 Several styles to choose from including hearts, rounds, dogtags and more. Gold and silver finishes available. 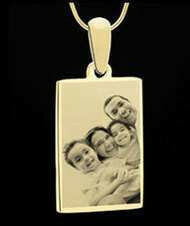 We can crop to customer specifications and merge photos at no extra charge. Engraved text price is per pendant, not per line. Charges applicable for merging multiple photos into one. Engraved text is $5 per line after 2 lines of text. Pendants have an elongated bail that gives the pendant more of a drop effect, making it easy to slide on the chain and keeps the pendant as the focal point. Includes 20” snake chain with multiple chain lengths available. Pendant has a round jump ring. Chain costs extra or the included chain is a link or ball chain. Orders placed by 12 noon MST ship SAME DAY. Two day and overnight shipping offered. 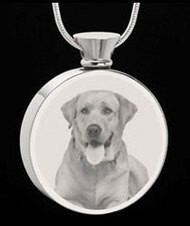 Engraving times can take from 7-14 days. Shipping costs calculated by weight. 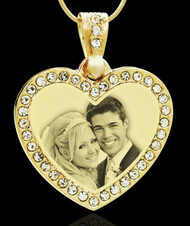 Express shipping may not be available for photo engraved jewelry. Keepsake is delivered in a beautiful velvet gift box and then placed in a presentation box. A+ rating from BBB. Affordable pricing and many discounts available. Shipped and engraved in the USA. Higher prices for lower quality pendants. Pendants ship from overseas or internationally. 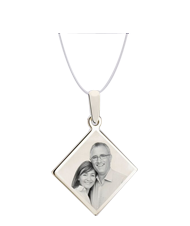 Our keepsakes are designed to help our customers remember someone important in their life and it is our belief that those memories deserve nothing but the best quality available. We have worked with our designers to create products that are not only of the highest quality materials but also top quality craftsmanship. We maintain consistency in our attention to the small details including competitive pricing, new designs and concepts, and packaging and shipping options. And we have been there ourselves, experienced the loss of family, close friends, pets. We will continue to provide the most compassionate customer service available - not because we have to but because we truly do care. 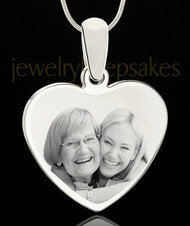 Your satisfaction with your purchase and our service is paramount to us at Jewelry Keepsakes. We have an A+ Rating with the BBB. We continually ask for product and customer service reviews from our customers and we take the time to read them and see what is working and what isn’t. We strive to provide information and education that is ‘real time’ - real questions, real answers for what families are going through after loss. We will answer every question, respond to your emails, go the extra mile for each and every customer. 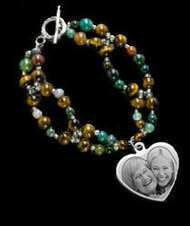 At Jewelry Keepsakes, your satisfaction is guaranteed!